Learning Stars hasn't added a story. At LEARNING STARS, we believe that creativity can empower individuals with learning disabilities and support the development of confidence, self-esteem and well-being. We are based in the north west of England and for the last 6 years have provided education and support for over 70 adults with learning difficulties. Our funding has stopped, and we need your help. 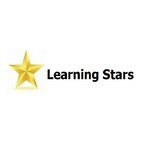 Learning Stars is a not for profit organisation that started in 2012. We now have three very enthusiastic groups of adults with learning disabilities who meet weekly at our venues in Skelmersdale, Ormskirk and Southport. We hold workshops on art, dance, drama, being creative with words and gardening as well as run our Raised Voices Choir and keep fit classes. Each year we focus on a theme that allows members to learn about a subject in a way and at a pace that suits them. We create a body of artwork around the subject which is often displayed in museums and art galleries in the north west. Participating actively in the arts can play a positive, tangible role in transforming lives, reducing isolation and marginalisation. Many members have been attending for several years and have grown in confidence and independence as a result. For many, the session is one of the most important points of their week, an opportunity where they can meet like-minded friends, socialise, find support and actively contribute to their own well-being. For carers these sessions also provide a few hours where they too can be creative in a safe and constructive environment or just a few hours of rest or time for themselves. Our costs used to be met by the Workers Educational Association (WEA) but the way they fund things has changed. Any activity now must focus on employability with a turnover of new students every 12 weeks. We need about £1,000 per week to keep our workshops going and our funding runs out in May. We are looking for other grants and ways of raising money to cover the cost of our tutors, materials and venue rental. We need your help – please donate as much as you can spare and share our message so our adults with learning disabilities can continue to expand their minds. Learning Stars hasn't posted any updates yet. Learning Stars is managing the funds for this campaign.